June 19, 2017 — This is the story of a 90s slasher flick, a deceased Young Adult author, an Internet rathole, a pair of coincidences, and me. Before you give up on it, you need to know that this is the best essay I will ever write. Or the worst. I don't know. On Sunday night, June 18, in those final bittersweet hours of the waning weekend, my wife Lindsey and I stood outside and witnessed a solitary bat wend its way across our dusky yard, and then went inside to watch I Know What You Did Last Summer. You remember that movie, right? Jennifer Love Hewitt, Sarah Michelle Gellar, Ryan Phillippe, and Freddie Prinze Jr.? Released in 1997, at the height of 90s meta-slasher? Penned by Kevin Williamson, the same guy who wrote Scream? The four actors play high school seniors in a fishing village in North Carolina. 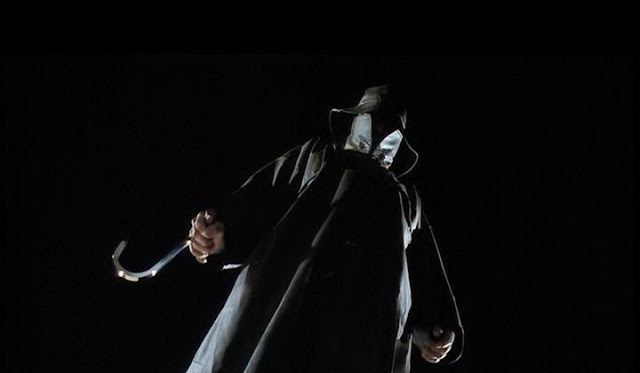 One night, they commit vehicular manslaughter and then hide the body to protect futures swollen with potential, only to be stalked the very next summer by a guy in a black fisherman’s slicker and an ice block hook who has impeccable handwriting and who, you know, knows what they did last summer. It was the movie where Gellar and Prinze met and lived happily ever after, despite only speaking to each other twice in a movie that they share 75% of the screen time together. I’m still rooting for you two kids. Lindsey and I watched it because it was a muggy summer day and I wanted to cap it off with a summer horror movie. Since it was Father’s Day, she kind of had to accede. Now, I know the movie seems too obvious a choice, like I just Googled “summer horror movie” and picked the first entry in the results. But I had another reason: Heavy nostalgia. For its soundtrack. The last time I saw IKWYDLS (pronounced, “Ickwiddles”) was during its theatrical run in October of 1997 while I was a junior in college on the Gulf Coast of Florida. I don’t know what it was about the movie that struck me. Maybe it was because I was so late to horror. Maybe it was because I was so late to the showing that I had to sit in the front row, which meant during the final jump scare, it felt like the Fisherman was jumping through the glass shower door and into my soul. Whatever the reason, I bought the soundtrack. In good old CD form. And I played it a lot. Southern Culture on the Skids, Goatboy, Green Apple Quickstep. Most of the bands on that album never became favorites for me (although I dug Soul Asylum and Our Lady Peace). But together they created a sonic space in that moment in that time in my life. I blasted it from my car speakers as I tooled down the Courtney Campbell Causeway, windows down and Tampa Bay lapping at its beachy shoulder, as I headed into Clearwater and the Christian college campus that would have kicked me out had its leaders known I was listening to secular music. There was something about blasting the Offspring’s D.U.I. on my way back from church that was liberating. The soundtrack also introduced me to Type O Negative, who covered Seals and Croft’s Summer Breeze on it in their gothy metal way. Years later, I would buy Bloody Kisses just for that song, and then use the album to kill my hour and a half commute from my graduate school in Annapolis to my home on the far side of Frederick, Maryland. I could hit play right after I buckled my seat belt in the college parking lot, and it wouldn’t be until a mere two minutes away from my driveway that Peter Steele’s impossibly deep, dark voice would die on the night breeze at the end of Can’t Lose You. Wait…where did I go? The point is, we watched this movie. Ickwiddles. And as we did, I kept throwing bon mots at my wife like the stuff in the past few paragraphs. She had seen the movie when it debuted, too. Except that she was in high school and probably had a more appropriate reaction to it. She didn’t remember much about it. 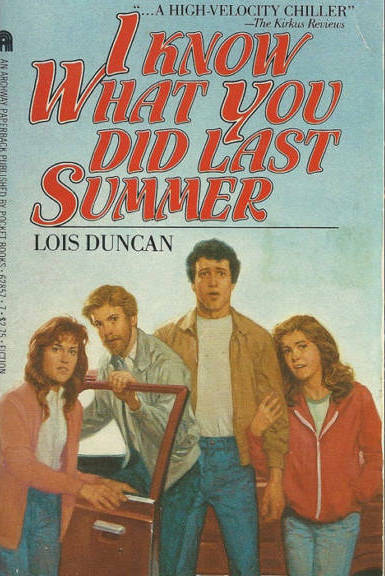 One factoid that I threw at her, right around the time that the kid from National Lampoon’s Christmas Vacation got a hook to the throat over a steamer of suspiciously already-red crabs, was that the movie was based on a Young Adult novel that had zero murders in it. It was a tiny, desiccated fact in my head. Like a dead bat hanging in the rafters that Peter Steele could croon Everything Dies about. It had no meaning for me. Just was always stuck there in my brain. Lois Duncan has stated openly that she hates the movie, because the filmmakers turned her book into a slasher film. She especially detested it in the wake of her 18-year-old daughter's murder in 1989. Whoa. Now that’s a bon mot. And into the rathole I went, instantly sober. I started with Lois Duncan. Maybe it was my anti-secular upbringing, but I’d never heard of her. Turns out, she was a pioneer of Young Adult fiction, especially stories of the darker sort. And that really interested me. See, this September is my fiction debut. I’m about to become an official Middle Grade author, which is a kid sibling to Young Adult. And I’m going to do it with a book about murder. For kids. It’s called Death and Douglas. Anyway, because of that, I wanted to learn everything about Lois Duncan. In short, and somehow shorter than my Ickwiddles synopsis, Lois Duncan wrote a lot of books. She was born in Philadelphia to professional photographers, and grew up in Florida among the circus folk that her parents liked to photograph. She dropped out of Duke University and became a magazine writer and published her first novel at the age of 24, a semi-autobiographical drama called Love Song for Joyce. Six years later she found her niche when she published Ransom, about a group of kids held hostage in a school bus. 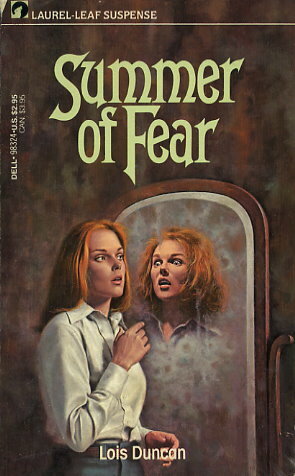 Her long YA career would feature such books as Summer of Fear, which was turned into the 1978 Wes Craven movie Stranger in Our House, starring Linda Blair and featuring a cameo by Duncan’s daughter Kerry Arquette. Also Killing Mr. Griffin. That one was turned into the 1999 Kevin Williams flick Teaching Mrs. Tingle, the original title of which, Killing Mrs. Tingle, was softened due to the tragedy of the Columbine Massacre that occurred less than four months earlier. In 1989, Duncan’s youngest daughter Kaitlyn Arquette was shot dead while driving around her home town of Albuquerque, New Mexico. The murder went unsolved and was presumed to be random. Duncan would go on to write Who Killed My Daughter? in which she hypothesized that Kaitlyn had been the victim of Vietnamese drug smugglers (Kaitlyn had been dating a Vietnamese immigrant at the time). It ended her tenure as a Young Adult horror/thriller author, as she couldn’t bear the idea of writing about imperiled young women anymore. She wrote mostly children’s picture books from that point on. Then things got personal for me. Wait. I won an Edgar Award from the Mystery Writers of America that year and was in New York City for the ceremony. That’s right. 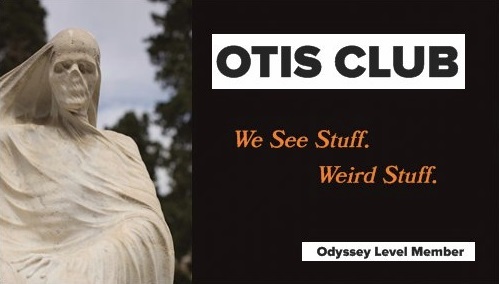 This random travelogue-middle-grade-author-blogger-in-New-Hampshire-of-all-places has one legit literary moment in his life that he’s been trying to shoehorn into bigger things for a couple of years now. 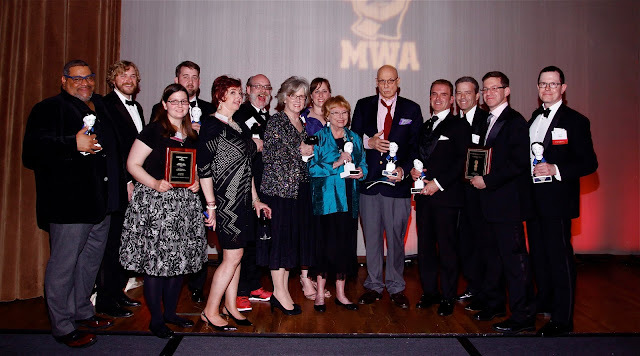 I went to my photos to look for the group shot of all the winners and honorees for the night (minus Stephen King, who’d won Best Novel for Mr. Mercedes and had hoofed it out of the ceremony after it was over like his Dark Half was on his heels). I found it. Not too hard, though. It’s still my desktop wallpaper. And then I remembered I had no idea what she looked like. A quick GIS later revealed a darling, bobbed-haired woman with glasses. Comparing it with the group shot, I saw her...not three people away from me. Sonofabitch. She's in the shiny blue-green blazer in the middle. I'm in the back, three from the left. Mad props to the woman in front of me who brought up her wine glass instead of her award. I ended my sticky summer night by throwing Ickwiddles the book into my Amazon cart. The one with the movie poster for a cover. The poster that equally features all four main actors and Jennifer Love Hewitt’s cleavage tinted Duke Blue Devil blue. I’m going to read the hell out of that book when I get it in that Prime-mandated two days and hope I hate it. Like, really hate it. Like return from sure death and wreak havoc on the Fourth of July Croaker Festival hate it. Otherwise, I’ll be extremely bummed that I missed my chance to talk to her. Because, just like Type O Negative prophesied, she died. In 2016. At the age of 82. In Bradenton, Florida. The same town where I would sneak to watch movies because it was far enough away from my Christian college campus that they wouldn’t catch me…including that one night in the Fall of 1997 when I sat on the front row for I Know What You did Last Summer. Ickwiddles.